Curtis Helton was preceded in death by his wife, June Helton; parents, Albert and Vera Helton, and step-son, Thomas D. Haynes. He is a U.S. Army veteran. Mr. Helton was a member of the Elks Club #1821 and the Eagles Club #972. He loved the great outdoors, where he enjoyed fishing, and watching wildlife. Mr. Helton was a welder and fabricator. He was an avid University of Alabama football fan and loved both Coach Bear Bryant and Coach Nick Saban. He is now beside his beloved June, in Heaven. 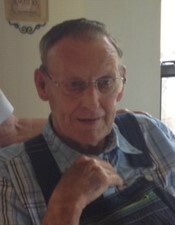 Mr. Helton is survived by his sister, Betty (Joe) Martin; step-sons, Martin (Shirley) Haynes, Jerry (Barbara) Haynes and Robert Haynes; nephew, Jeff Simon; and niece, Rene Hayes; six grandchildren, Laura Elmore, Amy Haga, Tracy Bailey, Penney Vines, Brian Doss and Kelly Adams; numerous great-grandchildren, nieces and nephews. A Celebration of Life will be Thursday, October 18, 2018 from 6:00 pm until 8:00 pm at Crestview Memorial Funeral Home. A committal service will be on Friday, October 19, 2018 at 2:00 pm at Crestview Memorial Gardens.